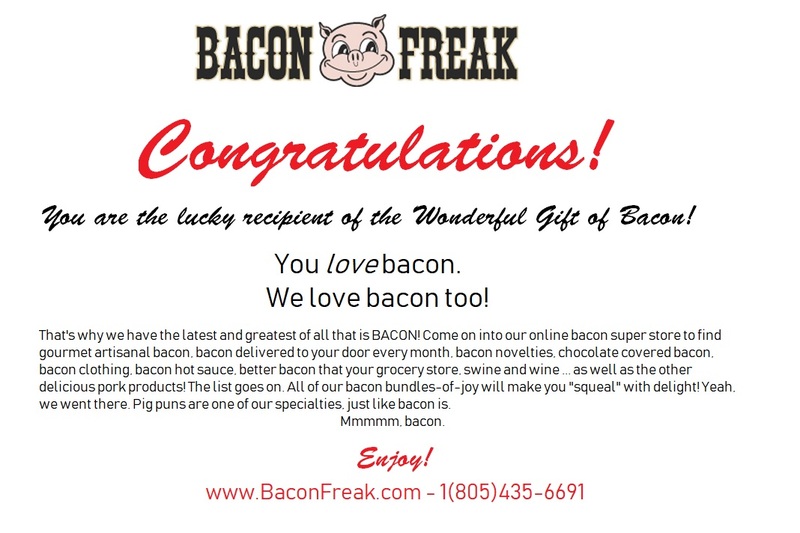 Here at Bacon Freak we know that our friends in Canada also like premium bacon. The problem is shipping from the US to Canada is so expensive, people felt they weren't getting a good value. The good news is we think we've come up with the solution. This bundle is shipped via USPS Priority Mail International 6-10 day service and the shipping cost is included in the price (US Dollars). Have you ever wondered about the difference between our exceptional dry-cured bacon and the soggy mass produced bacon at your nearest supermarket? With this 8 Pack Dry-cured Bacon Bundle you'll get 8 different packs of gourmet bacon that are dry-cured, the old-fashioned way. The dry-cure process is how folks enjoyed bacon before refrigeration. We'll ship these without ice packs and they will arrive 6-10 days after ordering at room temperature because this bacon is shelf stable* for 3 months! When your bacon arrives, we suggest you store in the refrigerator to enjoy maximum freshness and flavor. *Shelf-stable food can be safely stored at room temperature in a sealed container. This is only 1 of 2 items set up for Canadian shipping. We'd love to send you any other items, please email for a quote.